More serious in the glass, quite introverted with hints of unsmoked tobacco. Fresh and generous on the palate with cool black fruits. Plush mouthfeel and very polished fruit concentration. 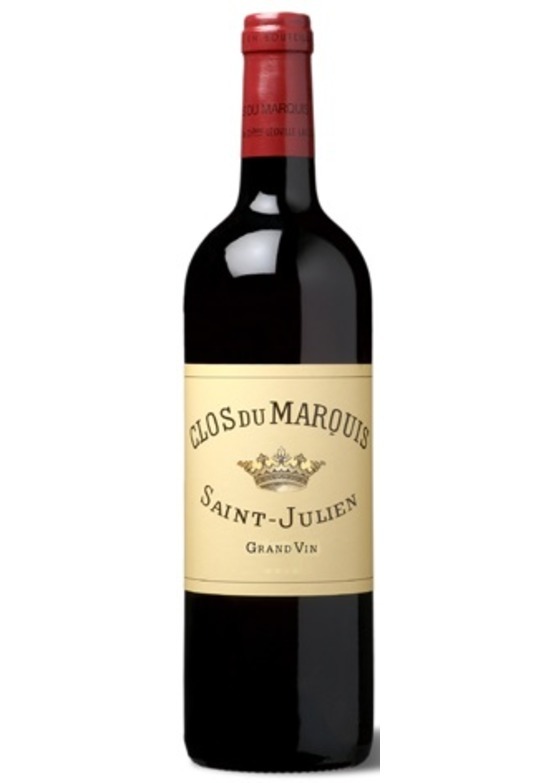 Faint spice and creamy oak complete this accessible and richly fruited Clos du Marquis. Outstanding. Drink 2022-2036. James Suckling (93-94 points) "Firm and silky wine with very pretty dark-berry and cherry character with currant undertones. Pure quality of fruit is serious. Very salty on the finish. Bright acidity, too." Antonio Galloni, Vinous.com (90-93 points) "The 2017 Clos du Marquis is fresh, lifted and wonderfully energetic, and yet also has quite a bit of textural depth. The flavors really sizzle in this highly expressive Saint-Julien from Hubert Delon. There is a sense of energy and tension to the 2017 that is impossible to miss. Much of that is attributable to the Cabernet Sauvignon that is the core of the wine this year. Floral notes reappear on the finish, adding lift to the creamy, layered finish. I cant wait to taste it from bottle." Neal Martin (90-92 points) "The 2017 Clos du Marquis was cropped at 37hl/ha between 15 September and 4 October during an overall 15 days of actual picking. It is matured in 55% new oak and includes 6.2% vin de presse from 25 different lots. It has a more backward, tightly wound bouquet than I was expecting but it opens up with time. And wow, give it 10 minutes and that estuarine saline scent feels quite pungent. There is impressive density imbued into this Clos du Marquis, if not the detail, the precision of last years wine. There is plenty of rondeur towards the finish with a pleasant saltiness flanked by a hint of salted liquorice on the finish." Lisa Perotti-Brown, The Wine Advocate (91-93 points) "Medium to deep garnet-purple colored and composed of 72% Cabernet Sauvignon, 27% Merlot and 1% Cabernet Franc, the 2017 Clos du Marquis gives up gorgeous notions of crushed plums, blackberries and cassis with hints of chocolate box, pencil lead, menthol and lavender. The palate is medium-bodied, very finely crafted and refreshing with firm yet fine-grained tannins, great intensity and a long, mineral-laced finish."